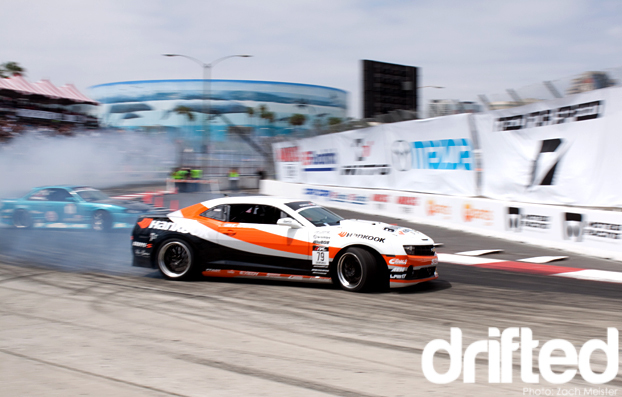 On April 10, 2010, Formula Drift came back to the streets of Long Beach to showdown once again! 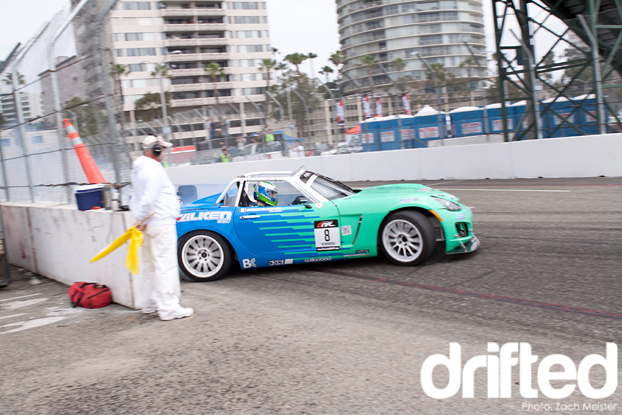 With an array of people in the car show, and drifting, it was quite an event. With Vaughn Gittin pulling past Rhys Millen in the last run, ( after Rhys spun him out, by the way. ) he won Formula D Round 1! With lots of new cars out on the grid, including Justin Pawlak in the Falken Mustang, Taka Aono in his new AE86, and Conrad Grunewald in his new Hankook Camaro, it was a really interesting event with a new feel to it. So now, onto what everyone wants, some pictures! Fredric Aasbo was out killing it ALL DAY! Huge angle, huge smoke, huge speed. Congrats to him for doing so well that day! DMac was doing well also. With this shot of the infamous no-emotion track marshall. Guy wouldn’t move if you pushed him onto the track. Not even a flinch when these cars were slapping the wall. 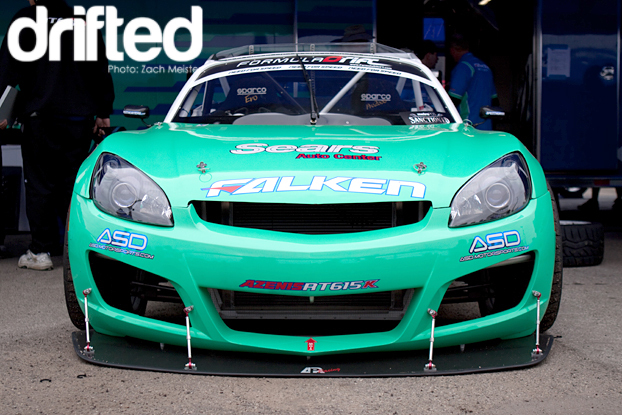 Ross Petty was also out in his newly redesigned Garage Boso/Falken Tire S15. Best looking car in Formula D anyone? Leave a comment with what you think! 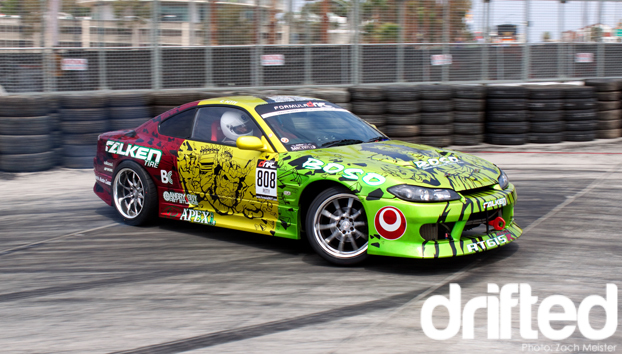 Now being a grassroots drifting fan, I had to bring a shot of this guy. Jeff Abbot the Giant ( look him up on Youtube if you don’t know what I mean! 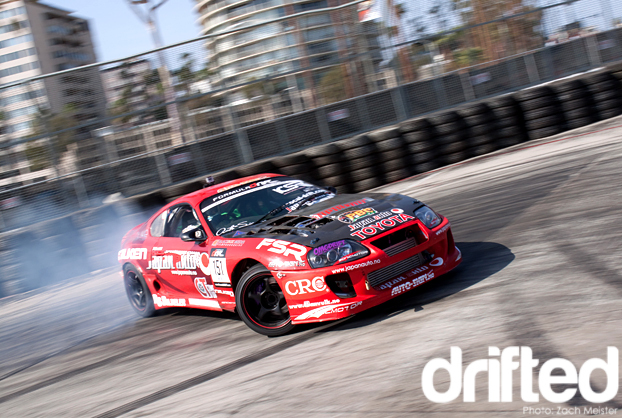 ), a privateer in the wild world of pro drifting, was getting thrown up against drivers like Ryan Tureck! Congrats to Jeff for making it to the pros and hold his own! 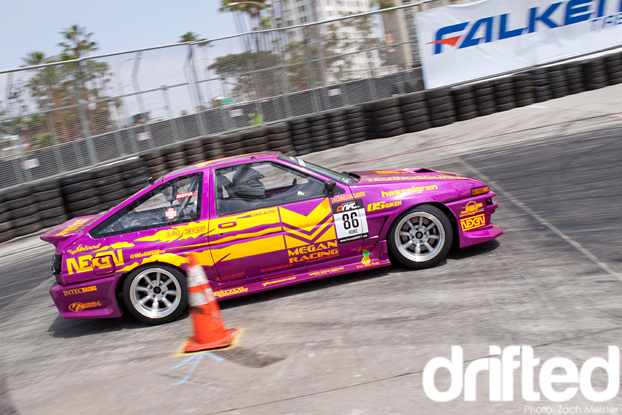 Formula D Veteran Taka Aono was out in his newly redesigned AE86. Conrad Grunewald was out ripping in his new Hankook Tires Chevy Camaro! Last but not least, the man who won it all. 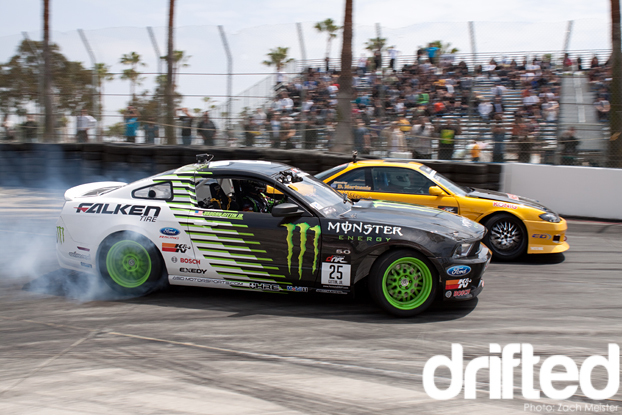 Vaughn Gittin Jr. in his new Monster Energy/Falken Tires 2011 Ford Mustang! 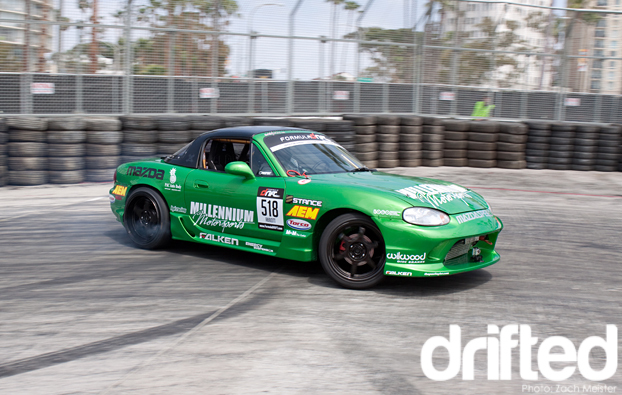 Congrats Vaughn from all of us at Drifted.com! « New one here! Introducing myself.